Home Politics Cartoon Goa Going Gone! 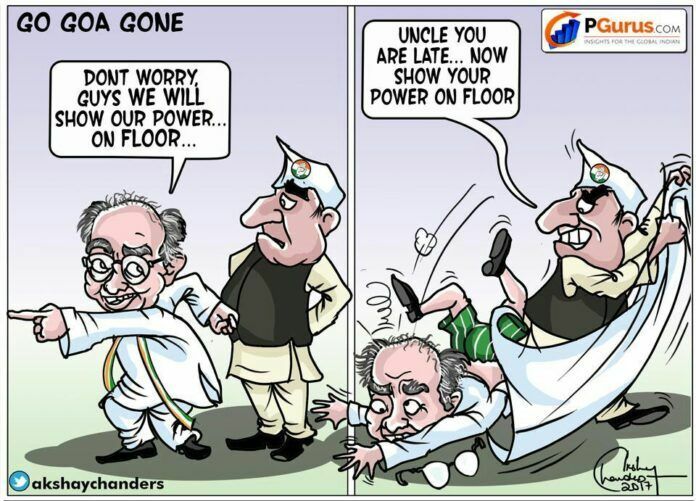 Was Digvijay Singh late in arriving? Manohar Parrikar leaves behind a legacy of a clean image in today’s Politics. Amitabh Bachchan reciting Kabir’s poetry!